I knew I liked avocados when presented to me as guacamole, but I have never been terribly infatuated with them otherwise. A semi-local restaurant chain called First Watch (cute little breakfast and lunch place) is one of my fave places to grab lunch on work days. They always have fun seasonal specialties, and last summer they started featuring avocado toast with eggs. Based on the amazing photo (I’m a sucker for a great food photo) and the way it looked on my friend’s plate, I decided to give it a go. Great call. It was amazing. I’m sure it has 2500 calories, but whatever. Healthy fats… Right? Simple ingredients come together to make a fast and delicious meal! 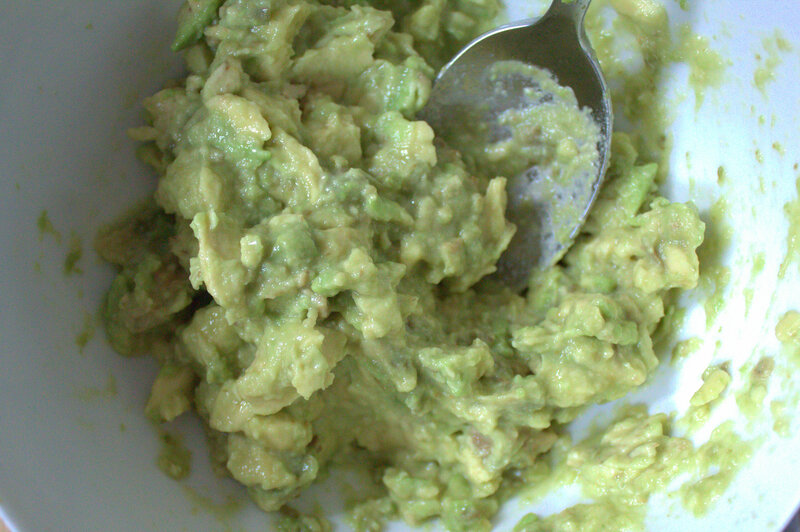 Simple ingredients come together to make an amazing creamy avocado spread! 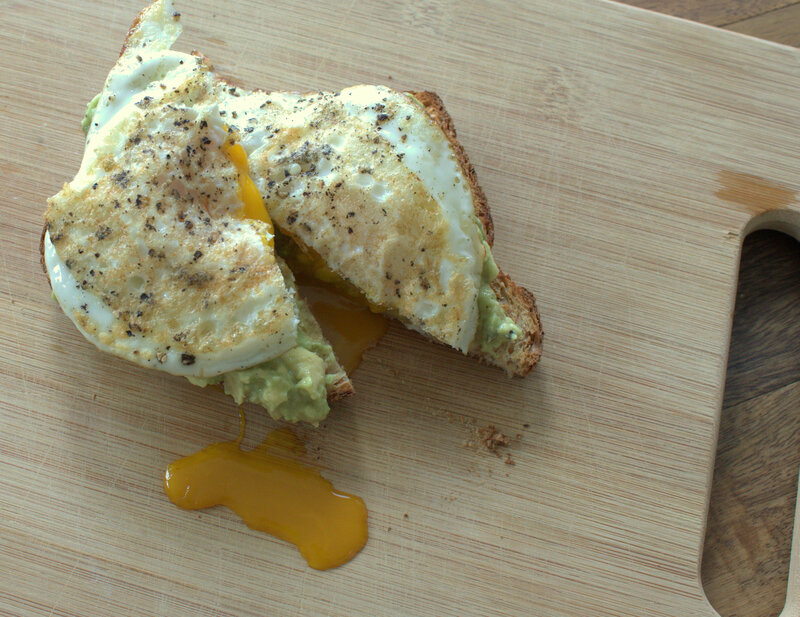 A creamy avocado spread for toast! For the record, this wouldn’t qualify as a regular weeknight dinner for me if it took any longer than ten minutes to prepare, so you have my word that it’s not a hassle. 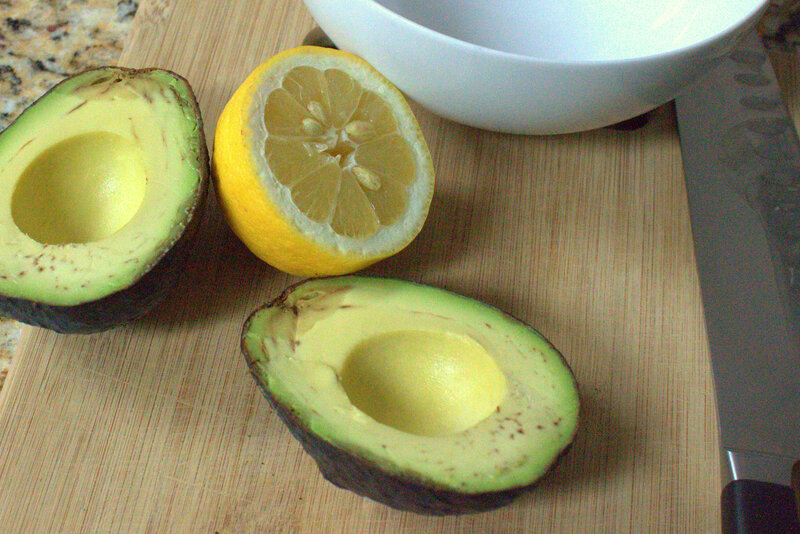 I mashed up a ripe avocado, drizzled in the juice of half a lemon (save those seeds – we’re going to plant a tree! ), and seasoned with salt and pepper. Assembly is pretty self-explanatory. 1) Toast goes on plate. 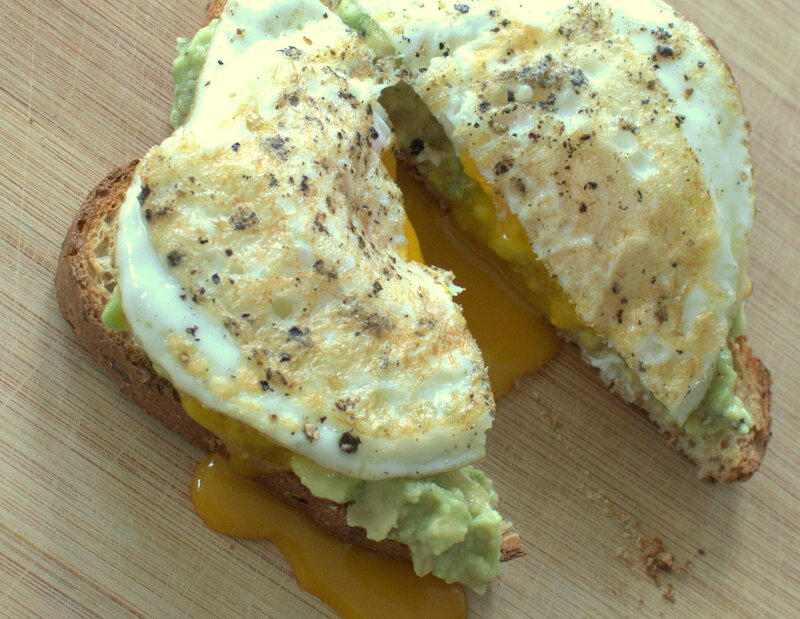 2) Avocado goes on toast. 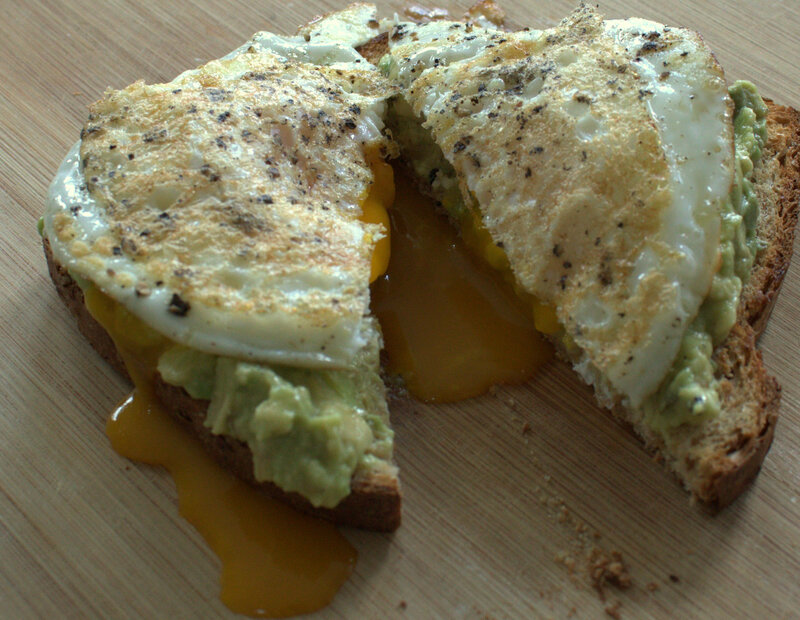 3) Egg goes on avocado toast. I could eat it every night, and frankly, for a while I probably will. 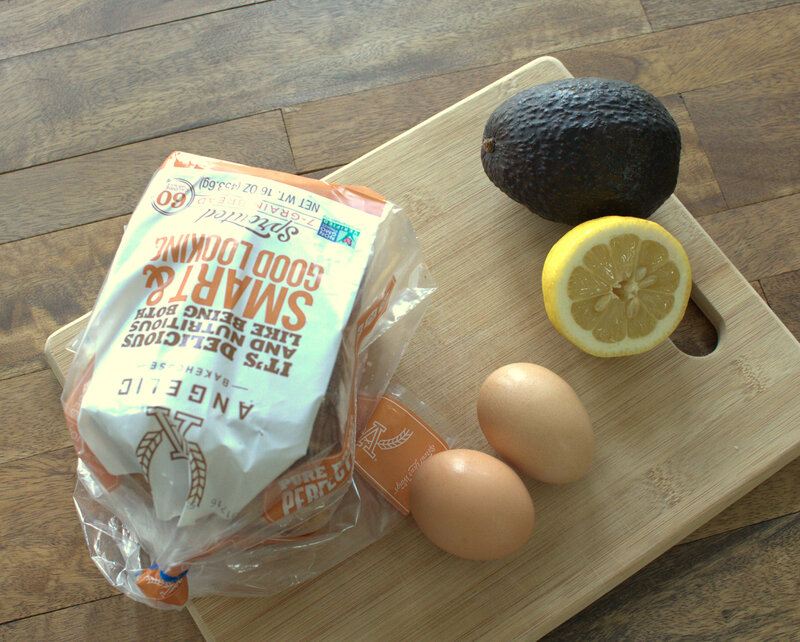 Mix together avocado, lemon juice, salt, and pepper. Prepare eggs however you like them best – in my case it’s over easy! 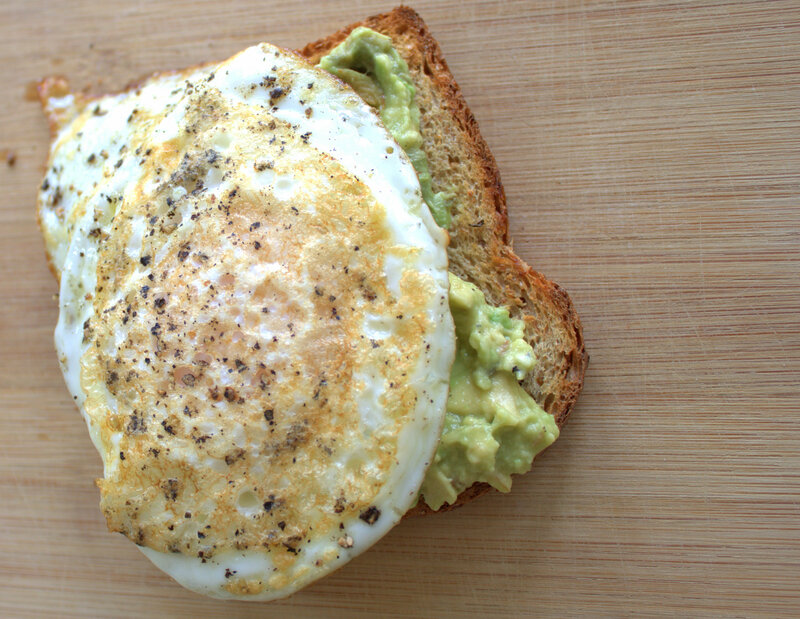 Spread avocado mixture on toast, top each slice of toast with 1 egg, and enjoy! Oh, I hope you like it! I’m so addicted!! Made it for dinner last night. LOVE this recipe! No way! That’s awesome – I’m so happy that you liked it! !